We are a renewable energy fund with focus on commercial solar growth. Our model is funding, building and maintaining commercial solar systems throughout Australia and delivering value back to end energy users and building owners. Solar Bay was founded in 2017 by three budding energy enthusiasts to tackle the problem of renewable energy financing. Today Solar Bay owns and manages some of the largest rooftop solar systems in Australia. We work with installers, landlords, tenants and owner occupiers to deliver a solution to match energy users needs, whilst providing a solution that requires no capex from our customers. A ‘PPA’ is a financial agreement between a developer and a customer whereby the developer organizes the design, permits, finance and installation of a solar energy system on the customer’s property. The developer owns the system and the host simply buys the energy produced at fixed rate that is generally lower than the local utility retail rate. The lower electricity price serves to offset the customer’s purchase of electricity from the grid while the developer receives income from the sales of electricity as well as any tax credits and other incentives that are a byproduct of the system. PPAs can range from 5 to 25 years and the developer is responsible for the operation and maintenance for the entirety of the agreed upon period. At the end of the contract term, the customer is able to extend the PPA, remove the solar system or buy the solar system from the developer. find out more by clicking on the button below to go to a page for more information. Zero or minimal upfront costs – Freeing up cash for other business investments. Future proofed reduced energy costs – Solar PPAs offer a fixed, predictable electricity cost throughout the whole agreement which can be structured one of two ways. Limited risk – All performance risks are owned by the developer who is responsible for the systems monitoring, maintenance and operating risks. Availability of tax credits – Developers are in a better position to leverage tax credits to reduce the costs of a solar system, such as Section 48 Investment Tax Credit. Zero obligation to purchase – While you are under no obligation to purchase the system at the end of the contract, the opportunity is available allowing you to continue to save on energy bills for the life of the system. Reduces carbon emissions – Beyond saving money and other benefits, engaging in a PPA positions your company as a leader in climate action and highlights your role in mitigating the environmental impact of your activities. To maximise the solar system size, Solar Bay had to analyse what the cost vs benefit was to combining the meters vs keeping them separate. We established it was best for the customer to keep them separate and leverage a better network tariff while maximising the solar system self-consumption to export ratio. Roof rental is a basic way to make money out of your buildings rooftop through solar energy. Property owners lease their roof space to a developer who installs the solar energy system and shares the income and benefits with the owner. All initial and ongoing costs, maintenance and operation are owned by the developer for the term of the agreement. Tenants then purchase the electricity produced at their normal grid electricity rates. Save money – Through reducing your electricity bills. Solar Bay sells you the electricity generated from the solar system guaranteeing a lower rate than the grid for the term of the agreement. Avoiding carbon taxes – Solar energy and electricity produced is not subject to the carbon tax. Reduce Pollution – By using solar energy, you are reducing pollution from coal power generators and also benefit from increased NABER and Green Star ratings. Generate income – Through the additional rental return of an unused space. No capital needed – The developer pays for any upfront costs involved with the installation and ongoing maintenance of the system. Zero Risk -The developer is responsible for any future costs incurred relating to maintenance and advances in technology. An outright commercial purchase involves acquiring the photovoltaic system by purchasing it with cash, paying a specialized company to assess the property, design a suitable solar power system based on your individual requirements and then also carry out the installation process. 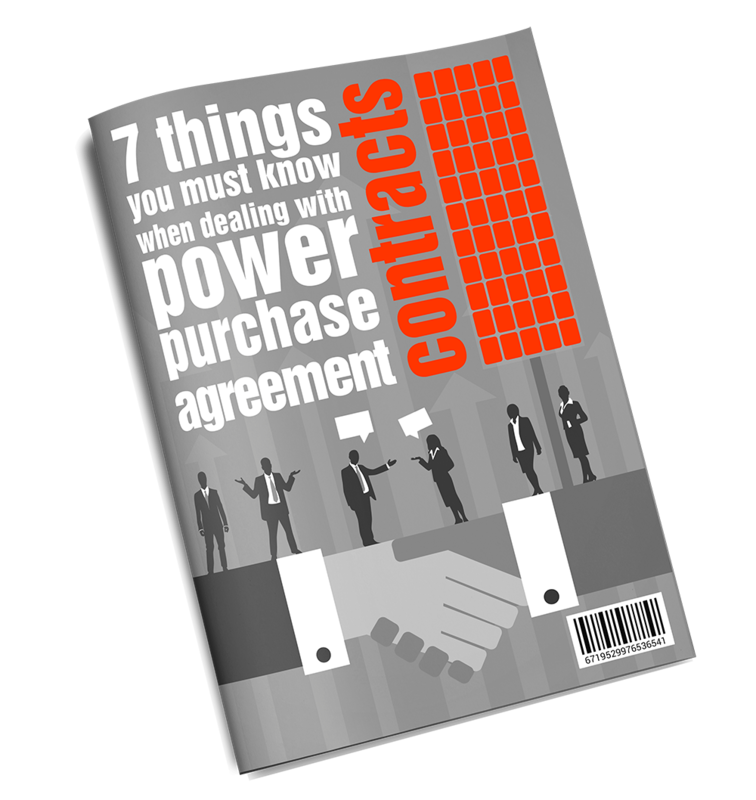 The purchaser is then responsible for all ongoing operating, maintenance, repair and replacement costs. Generate income – Through the additional rental return of an unused space (your roof). WHAT IS OUTRIGHT COMMERCIAL PURCHASE? The advantage of an outright commercial purchase is getting the lowest long-term ownership cost possible as well as being eligible for clean energy subsidies from the Australian government. These include small-scale technology certificates (STC) or large-scale generation certificates (LGC) and the type of credit is determined by the installed capacity and annual energy output. As most businesses are operational during daylight hours, they consume power when a commercial solar system is generating electricity. This provides most businesses with the ability to offset between 20-50% of their total electricity usage with low cost solar. Battery technology is improving rapidly and may be feasible for some businesses at current prices. However, if batteries are not feasible now our energy solutions are ready to install the technology when viable for all businesses. The cost of purchasing electricity from the wholesale markets in Australia has increased substantially. The average cost between 2012 – 2016 was $46.19MWh. For the 2017 calendar year, that figure is $110.17, a 139% increase. That’s 4.62c to 11.02c per kWh in 5 years. The cost of producing electricity from a solar system has reduced significantly. Over the same time period, the cost of a large scale solar installation has fallen from $1.50 per watt to $1.15 per watt, a 24% reduction. How Does Solar As A Service Work? Solar as a Service, aka a solar power purchase agreement, will typically provide electricity at a cost significantly lower than the grid. This gives your business immediate savings and a long-term energy hedge as the cost of electricity is known for the next 10-25 years, rather than 1-3 forward from the grid. Shopping Centres outsource their car-park management so they can focus on what they do best. Let us manage your solar system so you can focus on what you do best.